Try our demo. Click on the screenshot below. SMS sending in the demo is only simulated. 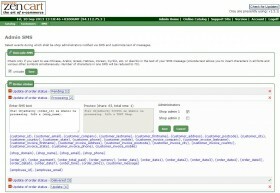 SMSs won´t be delivered to recipients but you will be able to view sent SMSs in the SMS history with a special status.